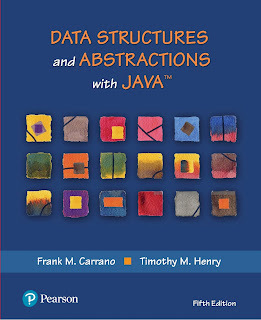 For a one-semester course in data structures at the college level. 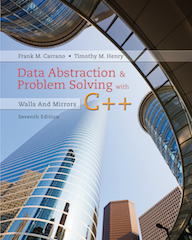 Features new notes, programming tips, examples, and programming problems, as well as C++11 and C++14 features—including safe memory management using smart pointers—and safe and secure coding techniques. Received the prestigious McGuffey Longevity Award by the Textbook and Academic Authors Association in 2016 and 2018. Features a flexible organization, a focus on security, and small segments that are easy to digest, facilitate learning, and enable instructors to assign very specific readings. Includes additional Design Decisions, Notes, Security Notes, Programming Tips, and Programming Projects throughout the book. 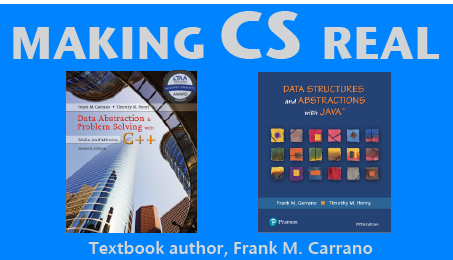 Frank M. Carrano is Professor Emeritus of Computer Science at the University of Rhode Island. His interests include data structures, computer science education, social issues in computing, and numerical computation. He is especially interested in the design and delivery of undergraduate computer sciences courses, and has authored several well-known textbooks. He holds a Ph.D. in computer science from Syracuse University.